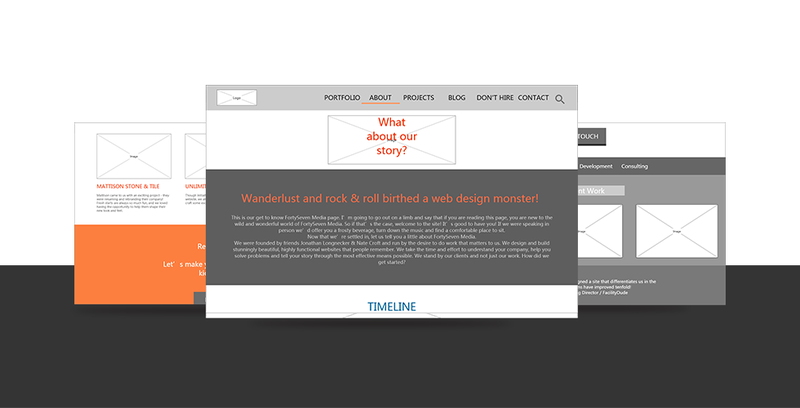 Fortyseven is a design service website designed to help companies design profitable brands and websites. The layout and color matching of this website are very good with European and American retro style. It uses many large pictures combined with copywriting. The interaction used in it has clicking search button to pop up the search box. Pages of this prototype: Home, Portfolio, About, Projects, Contact.